Phacelia fremontii (Fremont phacelia) is a flowering plant in the family Boraginaceae, native to the Mojave Desert of the southwestern United States. It is an annual plant growing 7-30 cm tall, with deeply lobed or compound leaves 1.5-5 cm long. 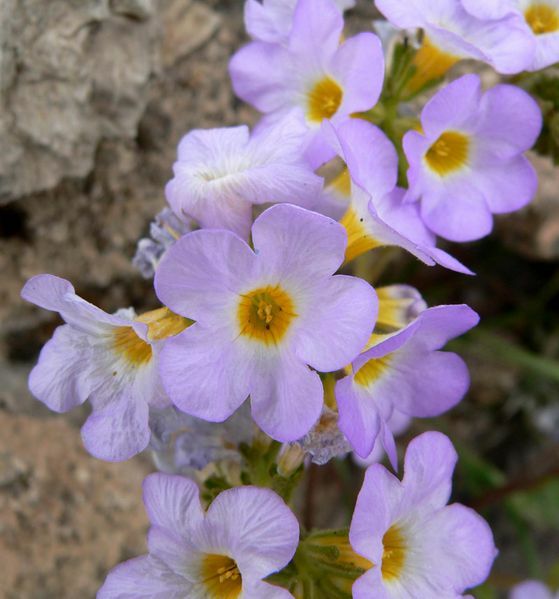 The flowers are blue to lavender with a yellow throat, 7-15 mm long (rarely to 20 mm). The plant grows in gravelly and sandy soils in most of the desert.